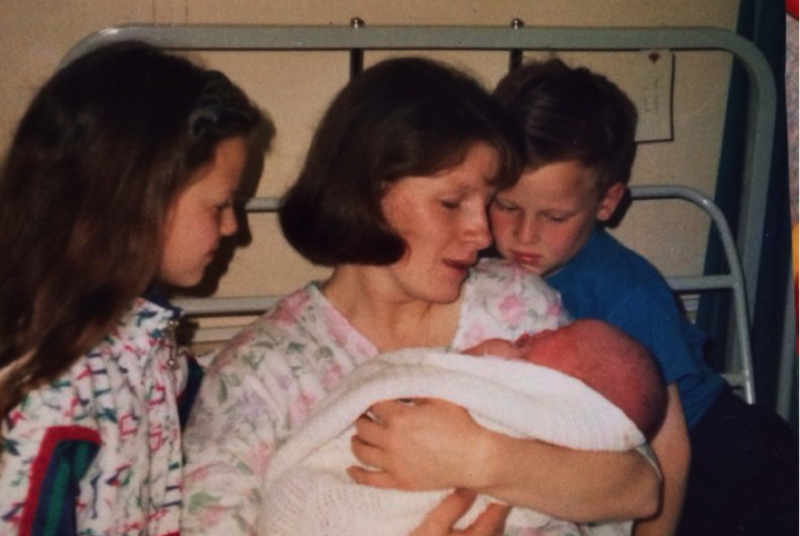 Sarah Faloon as a baby in the Royal Victoria Hospital in Belfast (31st May 1992). Reproduced with permission of Sarah Faloon. My SSHM prize essay focuses on the period of conflict in Northern Ireland known as ‘the Troubles’, specifically focusing on the Royal Victoria Hospital in Belfast, and engages with the debate whether the experiences of war and conflict have potential positive spin-offs. The Troubles was a ‘campaign of sustained urban violence and paramilitary warfare’, which roughly began with the emergence of the civil rights movement in Northern Ireland in 1967. Civil rights soon turned to civil disorder, and resulted in the British government deploying its troops to enforce order in the country’s main urban centres. The IRA subsequently began a relentless campaign of violence against the British presence, consistently interspersed with Loyalist paramilitary attacks and sporadic civil disturbances. The violence reached a peak in 1972, with a reported death toll of 496. The important role that the hospital would play during the conflict was quickly recognised. ‘The Royal is no ordinary hospital. It is right in the middle of a battle’, located in the ‘heart of republican west Belfast’; this was a hospital with a warzone on its doorstep. Its staff endured ‘thirty years of nightly violence, punctuated by episodes with large numbers of casualties’, and throughout this time the A&E department was at the forefront, leading to the Royal’s reputation as a world-renowned trauma centre. Dr William Rutherford, an A&E consultant at the Royal, is regarded as a ‘pioneer of emergency medicine’. In 1969, he developed the hospital’s Disaster Plan, which was designed to ensure fluid mobilisation of staff and equipment in times of crisis. Kate O’Hanlon, a sister in the department (1969-1988), wrote in her memoirs, ‘The Disaster Plan imposed order on what would otherwise have been chaotic situations’. On Friday, 21 July 1972, the Provisional IRA detonated 20 explosive devices throughout Belfast, killing 11 and injuring 130. Rutherford’s Disaster Plan was commended for saving many lives on what became known as ‘Bloody Friday’. Regarded as extremely successful, the Plan was adopted by hospitals across the UK. The creation in the 1970s of the Belfast Fixator (an external fixation device for limb fractures), by orthopaedic consultant John Templeton and local engineers James Mackie and Sons, allowed for the treatment of muscular or vascular complications to proceed, whilst repair of the fracture and skin tissue continued. This was particularly useful throughout this time due to the magnitude of patients suffering fractures as a result of paramilitary punishment beatings and terrorist explosions. The Royal’s vascular surgeon, Mr Aires Barros D’Sa, received international recognition for ‘his pioneering use of shunts’ during the Troubles. He introduced the concept of intraluminal shunts for devascularising limb injuries. Insertion of these shunts for a combined orthopaedic and vascular injury ensured early restoration of blood flow to the affected limb. The work resulted in a significant drop in the Royal’s amputation rate from 32.4% to 8.8% during the Troubles, and remains the basis of treatment for those wounded by explosions in modern conflicts. In total, between 1970 and 1974, 2,040 patients were admitted to the Royal as a result of civil disturbance. On 48 separate occasions, patients were admitted with multiple injuries from explosions, and riots resulted in ‘disaster situations’ for the hospital a total of 15 times. The experiences of the Troubles forged an unbreakable bond between the Royal’s staff; the teamwork and co-operation amongst the many different specialities ensured the best possible treatment for the casualties seen in these years. The Troubles have tested the Royal Victoria Hospital as never before, but it has come out with a record to be proud of…At the medical level, we have learned that when all the experts are brought together, near miracles can be achieved. Jonathan Marrow, ‘William Rutherford’, Emergency Medicine Journal (supplement), 2008, 25, 1–2. John Darby. Conflict in Northern Ireland: A Background Essay. Alf McCreary, ‘The Human Story of a Great Hospital’, Belfast Telegraph, 6 March 1972. Richard Clarke, The Royal Victoria Hospital, Belfast: A History 1797-1997. (Belfast: The Blackstaff Press Limited, 1997), 218–23. Clarke, The Royal Victoria Hospital, 218–23; Kate O’Hanlon. Sister Kate: Nursing through the Troubles (Belfast: Blackstaff Press, 2008), 95–6. W. H. Rutherford, ‘Surgery of Violence II: Disaster Procedures’, British Medical Journal, 1975, 1, 443–45. Clarke, The Royal Victoria Hospital, 184. Lisa Barros D’Sa and Paul Blair, ‘Aires Agnelo Barnabé Barros D’Sa’, British Medical Journal, 2007, 334, 804. Adam Standard, Karim Brohi and Nigel Tai, ‘Vascular Injury in the United Kingdom’, Perspectives in Vascular Surgery and Endovascular Therapy, 2011, 23, 27–33. Rutherford, ‘Surgery of Violence’, British Medical Journal, 1975, 1, 443–45. Clarke, The Royal Victoria Hospital, Belfast. 223.